ITA will pull up fares at $944 while Priceline will most liekly pull the same routes at $854. 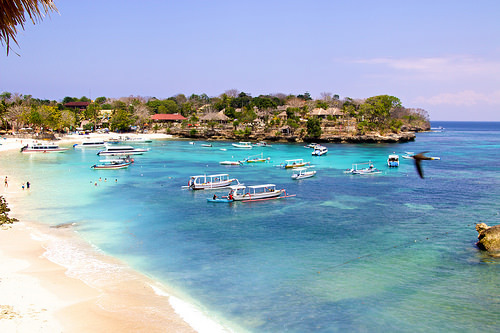 Here are some practical travel tips for Bali. 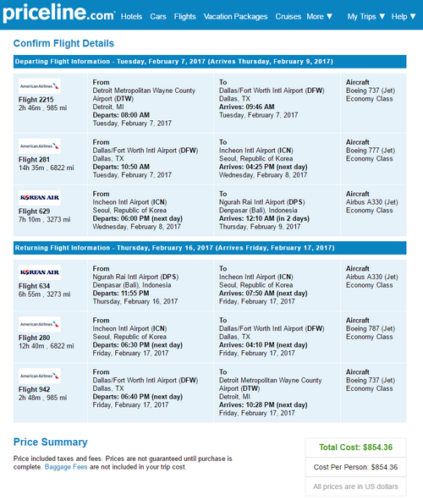 Valid for travel from late-January, 2017 – late-June, 2017. Must purchase at least 90 days in advance of departure. Segments between Seoul and Bali will be operated by Korean Air and are non-mileage earning with American. Mileage earning with American is below.